Vancouver, British Columbia--(Newsfile Corp. - November 9, 2018) - Batero Gold Corp. (TSXV: BAT) ("the Company") is pleased to report the Company's updated National Instrument 43-101 Measured, Indicated and Inferred mineral resource estimate for the La Cumbre Deposit within the Batero-Quinchia project located in Risaralda, Colombia (the "Project"). LINAMEC S.A.C. of Lima, Peru has prepared and authorized the release of this resource estimate. 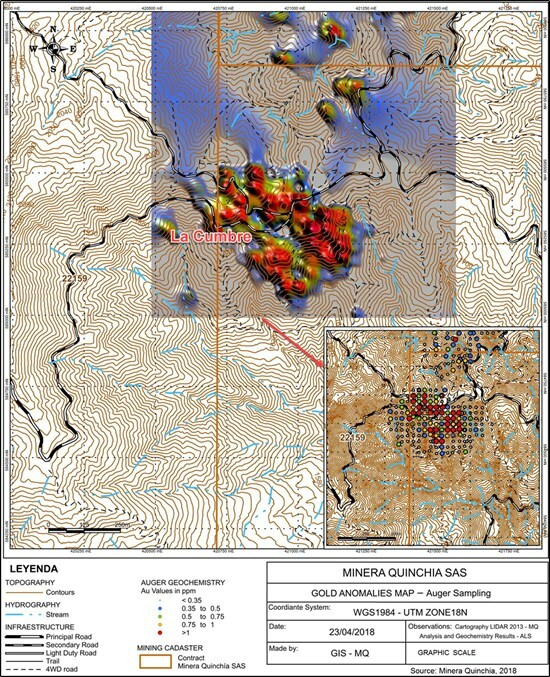 "We are very pleased that we were able to establish a significant measured, indicated and inferred mineral resource estimate within the prolific Mid Cauca belt of Colombia as we have focused on the near surface oxide mineralization at the La Cumbre Deposit," stated Gonzalo de Losada President and CEO Batero Gold Corporation. "Batero continues to work on the Environmental Impact Study (EIA) with Servicios Ambientales y Geográficos - SAG and has advanced the abiotic, biotic and socio-economic characterization of the La Cumbre - Oxide Zone project." Batero Gold Corp. will be presenting at the Colombia Gold Symposium, Medellin, Colombia November 13-14. Batero Gold Corp. is a precious and base metals exploration and development Company focused on two primary objectives. The first of these objectives is the advancement of the La Cumbre oxide deposit. La Cumbre is located within the Company's 100% owned Batero-Quinchia Gold Project, which sits within Colombia's emerging and prolific Mid Cauca gold and copper belt. 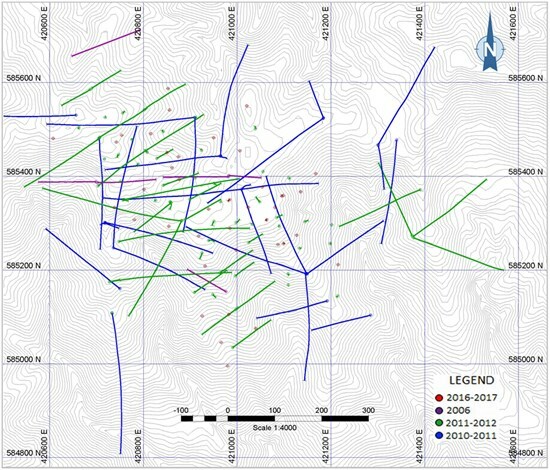 Batero is moving the La Cumbre oxide deposit towards the goal of making a production decision, once the appropriate level of study has been completed, and intends to first target the near and at surface higher grade oxidized gold mineralization at the deposit. Batero's second objective is to pursue opportunities to acquire prospective high-grade, production focused mineral properties in Colombia and Latin America. In pursuing both these objectives, Batero plans to leverage its secure treasury position, strong regional relationships, experienced management team, and long- term financial partners. Shares of the Vancouver-based company trade on the TSX-Venture Exchange under the symbol "BAT".